The rhubarb season is just finishing, but you can still get this British fruit from greengrocers and supermarkets. When buying, you should be looking for pinkest stems you can find. If it is particularly pink, I like to eat a little cut up a dipped in sugar. However, for the most part, rhubarb is better cooked and this crumble recipe using bananas is a perfect way to use it up, even if you do have a few bits of green stem. 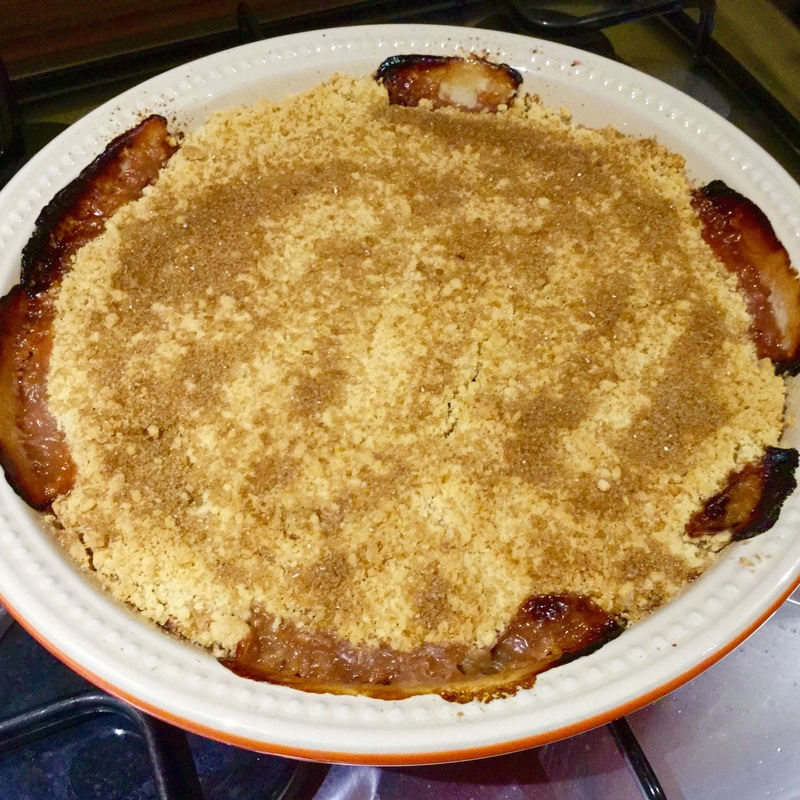 Both rhubarb and banana are soft fruits and so contrast well against the crunch of the Demerara sugar in the crumble topping. Preheat the oven to 180 degrees and weigh out all your ingredients. Trim the ends of the rhubarb and wash the stalks before cutting into pieces 1½ to 2 inches long. 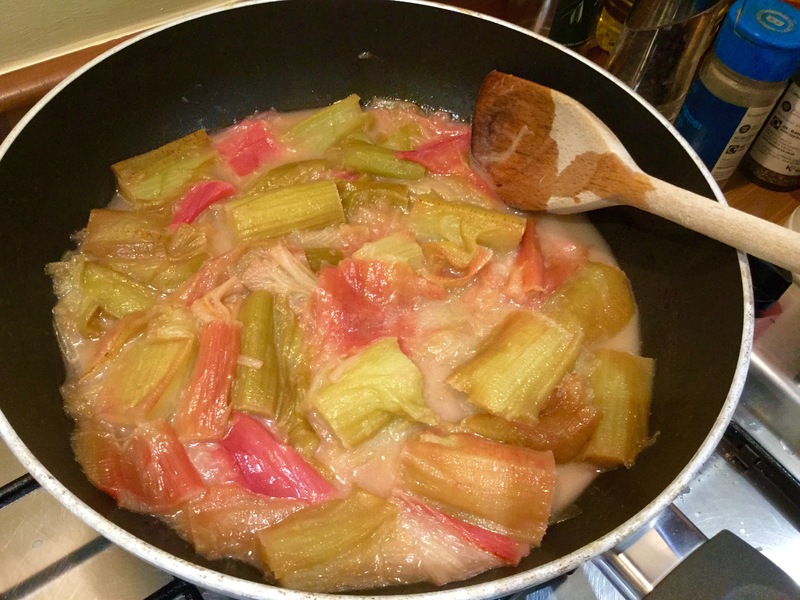 In a frying pan, melt a knob of butter, sprinkle over a couple of dessert spoons of caster sugar, and add the rhubarb. Stir round so that each piece is well coated in butter and sugar, then leave covered for 5 minutes over a low-medium heat. The rhubarb should now be soft, so remove from the heat and turn your attentions to the crumble mixture. 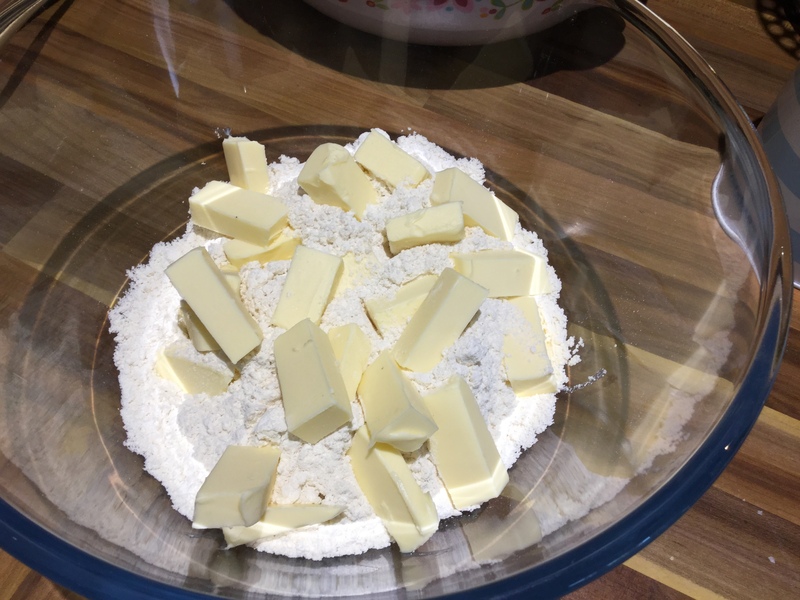 Weight out the flour into a large mixing bowl, add the cubes of butter and rub the mixture through the pads of your fingers until it resembles coarse sand, which would only take a couple of therapeutic minutes. Once the correct consistency, add 2 tablespoons of Demerara sugar and ground almonds and giving a quick mix through. 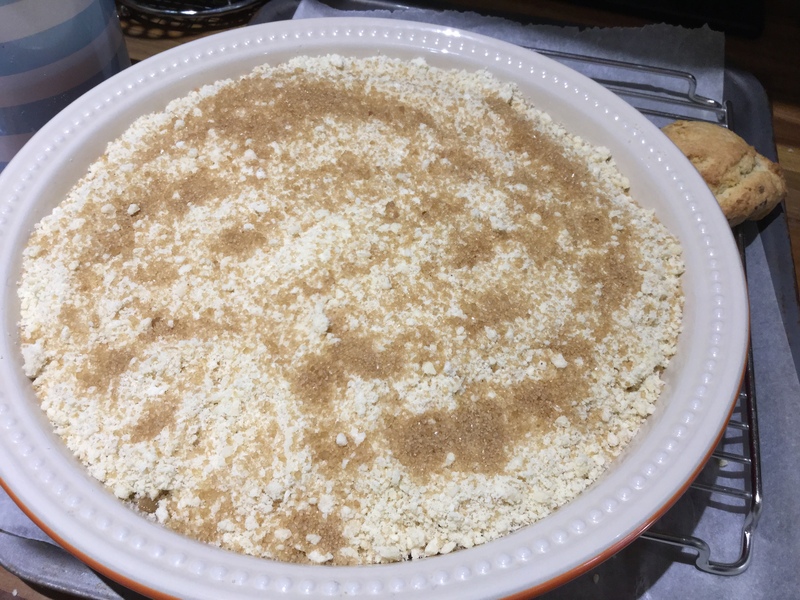 In your chosen crumble dish, pour in the rhubarb mixture, slice two bananas on the rhubarb and finally cover the fruit with the crumble mixture. Sprinkle the crumble with the remaining Demerara sugar. Cook in the oven for 30 minutes, by which time the fruit should have just started bubbling up the sides of your dish, which I always find reassuring as I know it’s then only moments away from being eaten. Serve still warm with either cream or vanilla ice cream.